2011 - Kyllopalooza: A benefit concert. This first fundraiser raised $10,000. 2012 - Kyllopalooza: The second annual benefit concert raised $8,000. 2013 - Vienna Idol: The second annual Vienna Idol is growing with 52 contestants. Thank you Caffe Amouri for sponsoring this event. 2014 - Vienna Idol: The third annual singing competition continues to draw local talent and raises $8,000. Thank you to Whole Foods for their 5% day and a donation of $4,200! 2015 - Vienna Idol started the new Seizure Watch donation bucket. 2017 - Vienna Idol: The sixth annual event raised over $13,000. 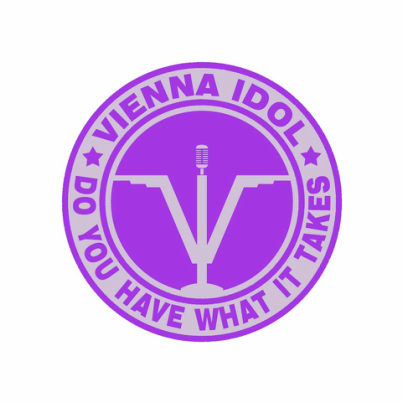 2018 - Vienna Idol had a record number of local sponsors. Thank you to Vienna businesses that give back to the community. 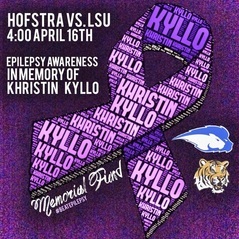 SPRING 2014 - Hofstra Softball holds an Epilepsy Awareness "purple" game. SPRING 2018 - Princeton Softball holds it's fifth annual "Purple" game for Epilepsy awareness!